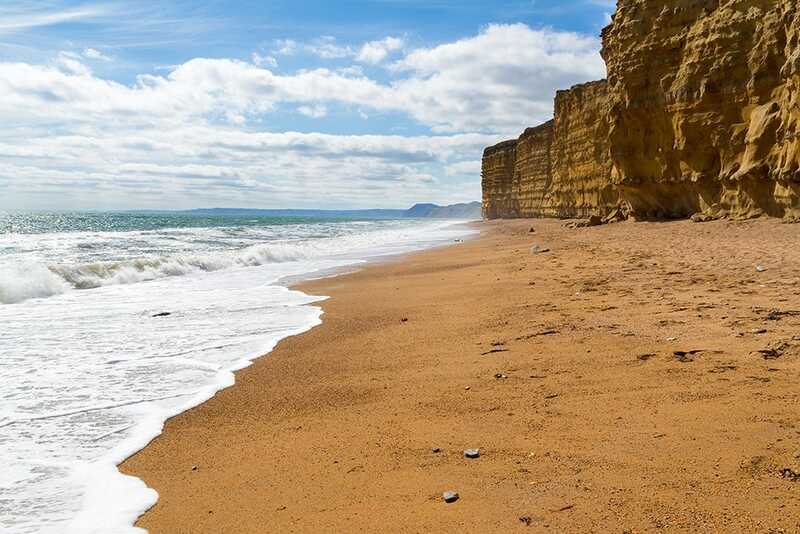 Here at Cosyfeet we are lucky enough to be just an hour from Dorset’s famous Jurassic Coast, a World Heritage Site, this fantastic coastline is the perfect escape on a sunny weekend. Experts say that, even in our temperamental climate, just 15-30 minutes outside a day can make a significant impact on our well-being. And while it's important to wear a good sunscreen, we shouldn't underestimate the properties and benefits of Vitamin D.
With all that fresh sea air, it'll come as no surprise to find you sleep better after a day at the beach. Sea air is full of negative hydrogen ions which, by neutralising damaging free radicals, improve our ability to absorb oxygen. They can also balance levels of serotonin – the hormone that makes us feel happy – meaning we will become more relaxed and less prone to anxiety. Lastly, there are benefits to your skin; sand acts as a natural exfoliator, improving its natural regeneration and helps remove dead skin from the feet as you walk along it. But don't forget to go for a dip – sea water has antiseptic properties, helping to heal the skin. Some even claim that sea water can help reduce snoring! Tell us your favourite summer activity to be in with the chance of winning a pamper bundle worth £100! Click here to enter.